The Inspector General of Police, Alhaji Ibrahim Kpotun-Idris on Monday deployed aircraft for surveillance in Taraba to improve security situation in the state. Idris announced this at a courtesy call on Gov Darius Ishaku of Taraba in Jalingo. 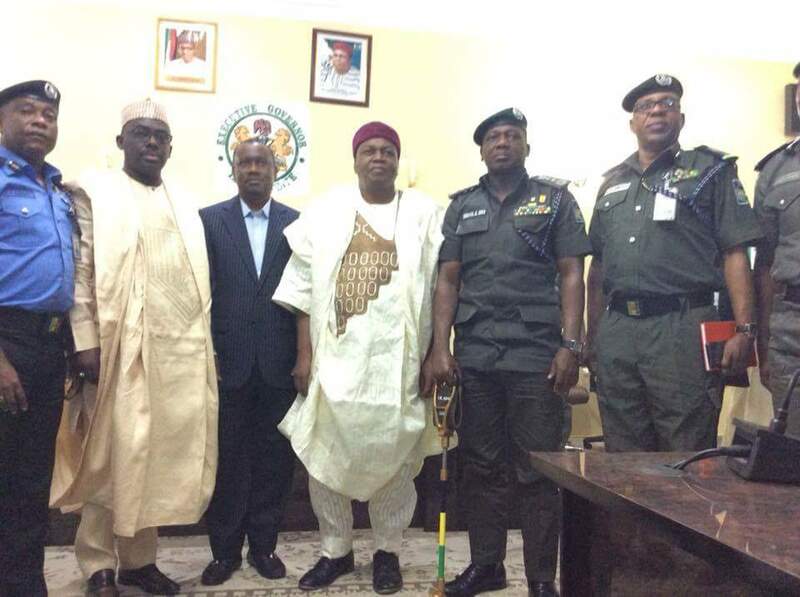 The IGP noted that the governor had meet him one week ago and made demands for additional men and materials to curb the upsurge of killings in the state. “I want to announce to you that the surveillance aircraft you requested is already in the state. “we have also deploy additional mobile police units to ensure the total restoration of peace to the state. “I can assure you that we will do everything to ensure that the inhabitants of the state are safe,” he said. Idris also said he would inaugurate the mobile squadron base in Takum on Tuesday to help in fighting criminality in the state. In his response, Gov Ishaku commended the police command in the state for working tirelessly towards achieving peace in the state. The governor also commended the IGP for his prompt response to his request for additional men and equipment to achieve peace. “I want to commend the state commissioner of Police, Mr David Akinremi for his tireless efforts at achieving peace in the state. “Mr IGP, I can tell you that the command in the state is doing very well. “what I can ask for again is the construction of a permanent police headquarters in the state.